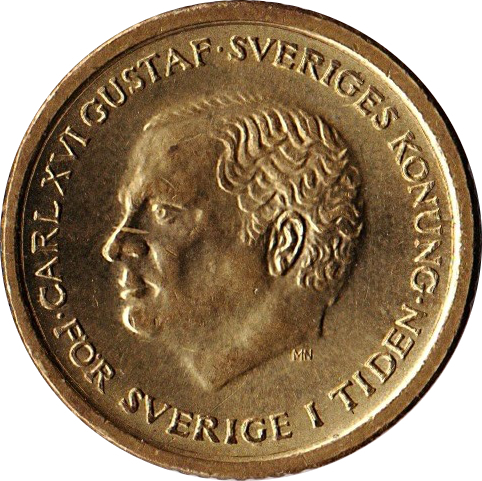 Portrait of Carl XVI Gustaf facing left, surrounded by lettering. Engraver's initials below head. 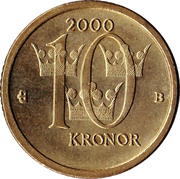 Date above the three crowns of Sweden superimposed by value divides mint official's mark at left and the first letter in the surname of the Governor of the Riksbank at right.